My father, Evan Austill, was married to Sarah Files, in Pendleton District, S. C, in 1793, and I was born the 10th of August, 1794, and the Cherokees being at war with the United States until the year 1798, when a treaty was held at the Ocony Stations, whereupon Silas Dinsmore was appointed Chief Agent, and my father as an assistant and mechanic, to teach the Indians civilization; whereupon the Agency was established near the center of the Nation, upon the Otenally River, the main branch of the Alabama River, to which place they moved in the same year, and in 1804, I was sent to Col. Rhode Easley’s to school, at the high school of the Appelachy, Ga. But as the Colonel was rarely at home, his servants treated me very badly, as well as a half-breed of my age. 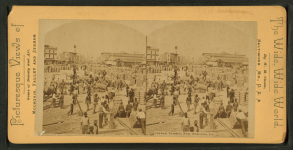 My father came and carried us both back to the Nation; when at the age of eleven years old, he carried me to Pendelton, S. C., near the same place, in charge of George Reed, a very strict Presbyterian, where I remained one year, and returned to the Agency. At the age of twelve years, my father employed an Englishman to teach me and three of my sisters one year, which finished my schooling. 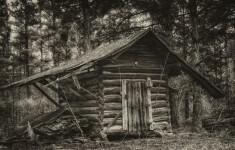 I then went to my Uncle’s, David Files, in Jackson County, Georgia, and remained in his store for several months, returning home went to work on his farm until 1809. My father determined to move to Alexandria, La. 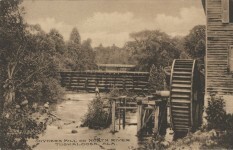 We started about the first of December, by way of the Mussel Shoals, thence down the (Tennessee to the Natchez Trace, down which we proceeded within twenty miles of the cotton gin on the Bigbee, where we were water bound from excessive rains. For several days we could not move either way, until we nearly starved out, we then returned to Colbert, on the Tennessee, to procure provision. 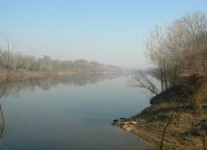 The winter remained so wet, and the water so high, we were compelled to remain until April of 1810. 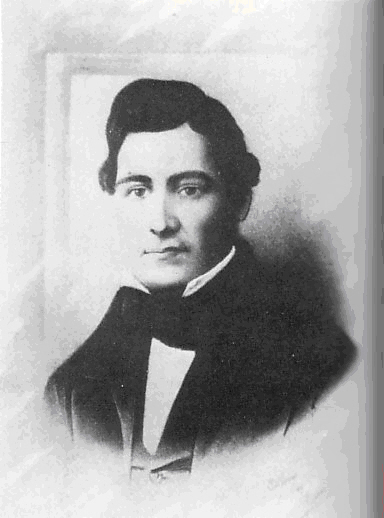 In the meantime, Jim Vann, a celebrated Chief, or leading man of the Nation, was murdered, who had been opposed to the sale and removal of the Cherokees across the Mississippi. My father concluded the sale would then be made, hence we returned to the Nation where we had lived, and made crop of corn and other provisions. But as there was no prospect of an early sale of the County, and in the interval, James McGaffin, just from. 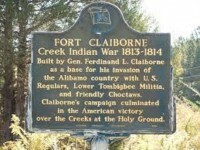 St. Stephens, Ala., stopped a week with us, and such was his praise of Clarke County, my father was induced to pack up and move to new Clarke, which had been but recently bought from the Choctaws. It was indeed all one could desire, the production of the virgin soil was all one could ask, the range unsurpassed, and game in abundance. 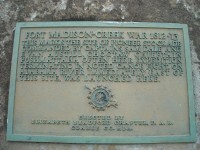 An incident occurred on our way down through the Creek nation to Montgomery, just what is now Wetumpka, we were stopped by a large body of warriors, alleging that it was against their law for any one to move through their Nation. A council was held to determine whether we should be murdered, or all our stock, horses and effects taken from us. 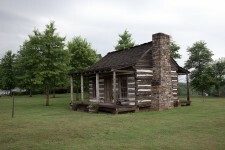 During the council, an Indian countryman came from Tuckabatche, and informed them that my father had obtained leave from Double Head to come that way from the Cherokee Nation, whereupon we were allowed to pass on, and Quarles remained with us until we reached Dales Ferry. Lest we might be disturbed on the way—for the Indians were very hostile at that time —. We started with sixty head of fine cows and calves, and on reaching the long leaf pine, the cows were taken with the murrin, and all died except one cow and twenty-one calves, and we settled on the dividing ridge between the river five miles below what is now Suggsville, and in the spring of 1813, we rented land enough to make a supply of corn and other crops. In June, it became evident that the Creek Indians were preparing for war, whereupon the settlers in the neighborhood assembled and built a stockade or fort, six hundred yards South of Father’s house, into which about seven hundred souls moved in, and we had very little space left. 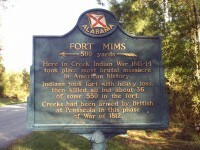 Soon after, we learned some two hundred and fifty Indians were on their way down to Pensacola for ammunition, taking Jim Cornal’s wife, a white woman, prisoner, burning up his possessions and corncrib, giving the place the name of Burnt Corn. 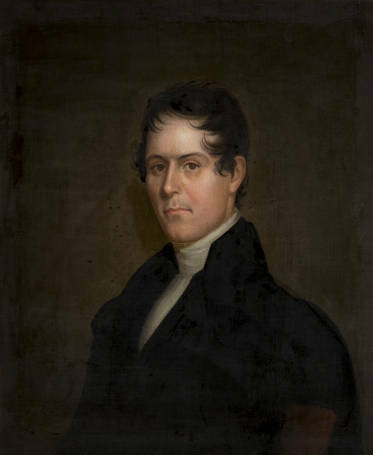 Whereupon, the citizens of Clarke and Washington Counties raised a force of about two hundred or more mounted men, under the command of Col. James Castin and Major Woods, with Capt Samuel Dale, McFarlin, Murrell, who crossed the Alabama, and marched on to. Burnt Corn, there taking the road to Pensacola, after proceeding some ten miles down into the fork of Burnt Corn Creek, where they met some one hundred and fifty or two hundred pack horses with all the Indians in the rear ascending the ridge. A charge was ordered, but on entering among the pack horses, found the Indians retreating back on either side into the cane, and instead of pursuing them, most of the men dismounted, each to secure a pack horse. The Commander discovered the Indians ascending each stream in the cane to surround them, the Colonel ordered his men to fall back, when the Indians discovered the confusion, they raised the war whoop and charged on the Commander, producing a panic, and fled. The Colonel could not check the men, leaving several men on foot who were pursued and killed. Thus ended the Burnt Corn battle. FreeHearts: A Novel Of Colonial America (Book 3 in the Tapestry of Love Series) (Volume 3) – Col. John Washington (ancestor of President George Washington), Randall Revell, Tom Cottingham, Edmund Beauchamp ward off Indian attacks and conquer the wilds of Maryland’s Eastern shore in 17th century colonial America in this historical novel, inspired by true events. Where do you get books didn’t have at bam have to get on Internet? You can request bam, libraries or local stores to order books for you or purchase any book online at; http://amzn.to/1SGfLZL Thank you for asking. 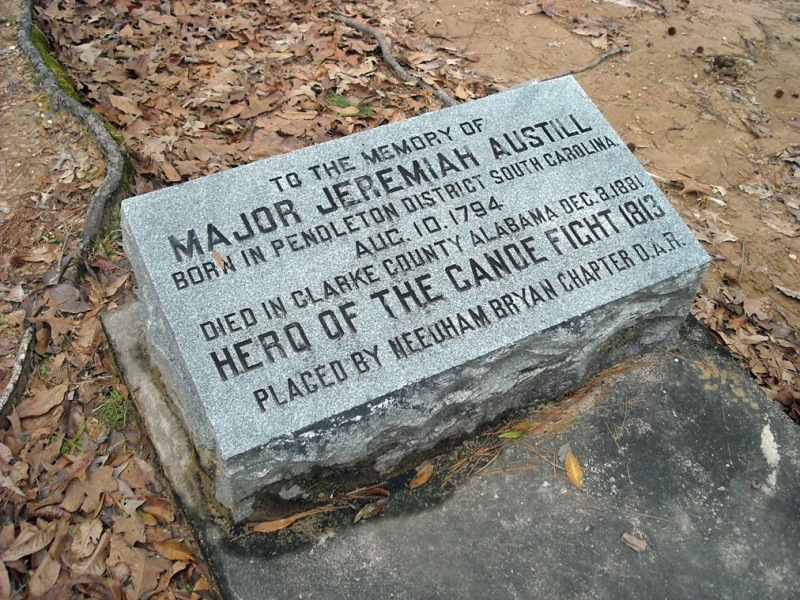 Jeremiah Austill first married Martha Hayes, a (very) distant cousin of mine, in either Conecuh or Monroe County Mar 9, 1819. She died Nov 1, 1820 from a fall off a fence after seeing an Indian in the area. 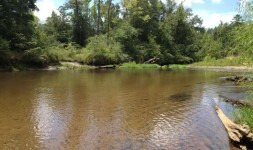 The related Hayes and Oliver families came to Conecuh in 1819. I had an ancestor, Burwell Stinson, who was there. Enjoyed reading this first hand observation. Thank you for sharing! Enjoyed this first hand observation. Thank you for sharing. I’m glad you enjoyed. We love discovering these treasures. I REALLY ENJOYED THIS CONNECTION TO NORTH ALABAMA AND THE MUSCLE SHOALS AREA. THANKS! WHEN WILL PART 2 COME OUT? Paul Tapia, share with Jere Austill Crabtree. Great story. There are many re: his exploits among the Indians. 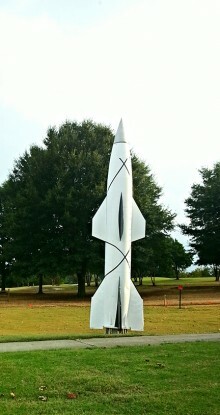 Great story…we live a rocks throw from Pendleton S.C. Very interesting. Great read! Thanks. 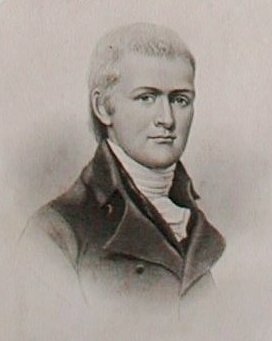 Austill claimed that he and his family were on their way through the Creek Nation to Montgomery when they were stopped in Wetumpka in 1810. 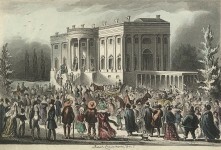 Montgomery was not founded until 1817, and was not named Montgomery until 1819. It was, unfortunately, not unusual for these larger-than-life frontier characters to pad their resumes with fabrications. Even when reading first person accounts of history, it is a good thing to double check their claims against other available information. Ironically, Austill was one of those people whose known exploits really didn’t require embellishment to be impressive.